Sky Removals are the local removal and delivery specialists you can trust. With professional expertise in a wide range of domestic and commercial removal and delivery solutions available across SE area, we have your household or office covered. We handle all stages and aspects of every relocation/delivery so customers have less to worry about. Our professional removal services in Lambeth are the sensible and efficient removal solution for both private and business customers across SE. End to end coverage of all requirements, including additional ones like packing, clearances, etc. 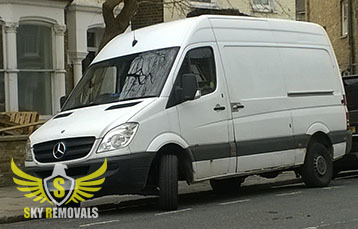 Safe and quick transit of customer belongings from pickup to drop off point is an essential aspect of any well organised removal solution, and our relocation services in Lambeth make no exception. SE based homes and businesses can be rest assured their goods and equipment will be handled carefully and delivered intact. Our removal drivers are qualified professionals who have the required driving experience and licensing. They will make sure that everything is delivered intact and on time. Should customers have any specific requirements to do with delivery or handling of certain items/equipment, please speak to our drivers upon arrival and they will be sure to address those accordingly. We know that in many cases, people have specific or somewhat unusual removal needs. 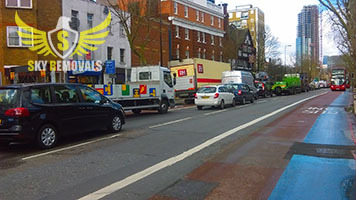 Because of this residential and commercial customers in Lambeth SW can choose from our selection of specialised removal options for those specific occasions. Property Cleaning Choose from various cleaning service options, including end of tenancy and office cleaning. Storage Solutions We can arrange for household goods or office equipment to be kept safe and secured with our storage partners. Clearances When everything has to go, no worries, we can organise and handle the entire process so you don’t have to worry about anything. Furniture Assembly/Disassembly Some items are better relocated in pieces, we can also do that – our removal techs are skilled and equipped for the task. Packing & Packing Materials Delivery We will pack and secure your valuables using high durability packing and wrapping supplies. Prefer to do your own packing instead? No problems – we do packing material delivery. Lambeth based households and commercial establishments can be sure to receive impeccable removal and delivery solutions in SE, at the best possible prices. We stick to fair and flexible pricing schemes in order to provide private and business clients in Lambeth with genuine value for money, no matter what the circumstances. Lambeth is an Inner London Borough, just south of the Thames River. Lambeth is one of the old London boroughs to have originated as early as the ninth century, back then however the district was called Lambehitha, meaning ‘landing place for lamb’. The phrase name had to do with one of the local types of commerce at the time – dealing in livestock. Historically, Lambeth was part of the large parish of Lambeth St Mary. Until the late eighteen hundreds the district was administratively part of Surrey. Shortly after that, the government redrew the boundaries of the borough in order to form the new Metropolitan Borough, so it was originally planned for Lambeth to be merged with some of its surrounding neighbours. This proposition was rejected by a number of local councils. Modern day Lambeth is a politically turbulent and interesting locale. The borough was the site of the first ever organised demonstration against the Margaret Thatcher government in nineteen seventy nine. A few years later, local council opposing the British participation in the First Persian Gulf War refused to collect poll tax from local residents. The council members were subsequently suspended and removed from duty. In terms of landmarks and places of interest, Lambeth has quite a few to choose from, from iconic ones like the London Eye to more subtle but cultural things to do like a tour of Waterloo Churches. Despite being densely populated and heavily urbanised Lambeth borough has retained much of its park and green open spaces. 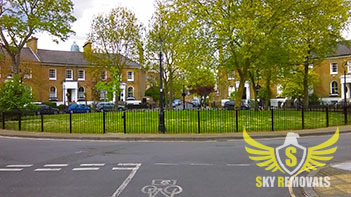 Though not as leafy as other parts of the city, Lambeth still offers residents and visitors access to excellent parks and recreational facilities.